Dr. Abreu founder and medical director for Portland Ketamine Clinic interviewed on AM Northwest. At our clinic here in Portland, Oregon Dr. Abreu and his staff provide ketamine infusions to relieve depression, PTSD and chronic pain syndromes such as CRPS/RSD. Ketamine is an FDA approved anesthetic drug that has been used in hospitals worldwide since the 1960’s. 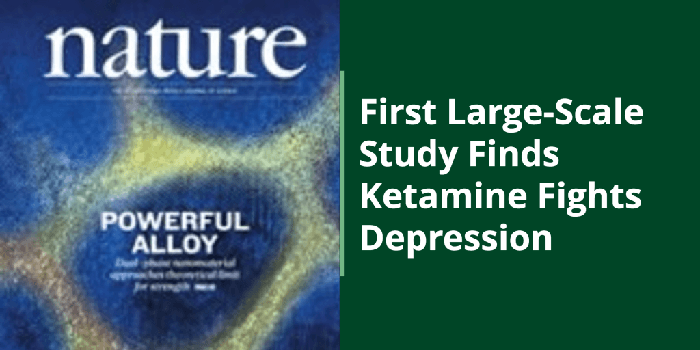 In the last few years numerous articles in medical journals have shown efficacy in using ketamine in sub-anesthetic doses to treat depression and some chronic pain syndromes. See LINKS to read articles. “My Mom seems so much more relaxed and optimistic and cheerful and can enjoy herself more. It kind of reminded me that she used to be that way when I was a young kid. She's pretty blown away at how much better she feels compared to just one week ago! Thanks so much for helping her get back to her real self."